What Else can I Expect from an Online Bachelor's in Health Services Program? As emerging technologies continue to produce innovative approaches to healthcare delivery, students will receive opportunities to become pioneers in an evolving industry. The BLS projects that the heathcare industry will generate more than 2 million new jobs from 2014 to 2024. The following information provides you with what you need to know to earn your bachelor's in health science online and choose the right school for you. Program specializations range from health services management to worksite wellness and healthcare informatics systems. Students with technical training in areas such as respiratory therapy or sonography may pursue concentrations to enhance their existing knowledge. Depending on the program, students will complete internships or capstone courses that require the development of research projects. Each online degree in health science program offers unique industry perspectives and different emphases. Program electives allow students to customize their degree to fit their interests. Once you figure out your interests and decide what you need from a program, choosing one will be much easier. The University of Central Florida offers an online health science degree-completion program that prepares its graduates for entry-level management roles in healthcare organizations. The core classes in this bachelor's in health science online program emphasize the business aspects of the healthcare industry, delivering instruction about effective planning and the future direction of healthcare entities. Online coursework is augmented by a 150-hour internship at an approved facility. Program participants also complete a culminating capstone project where they evaluate an existing healthcare organization. Applicants who hold an associate degree or its equivalent are eligible to apply. While many distance learners who enroll in this program have previous clinical experience in the healthcare industry, this is not required for admission; however, students who lack industry experience or credentials are expected to complete prerequisites before beginning the core curriculum. Distance learners at Florida International University can complete a health science degree online that has no field experience requirements. This online bachelor's degree in health sciences is a four-year baccalaureate program that teaches students about financial management and systems engineering within healthcare organizations. Other focus areas include program planning, healthcare law, healthcare policy, and economics. This program's curriculum begins with 18 credit hours of foundation courses, which are are followed by 27 credit hours of coursework covering organizational behavior, healthcare trends, and the business aspects of the industry. Students also take 15 credits of electives. Distance learners who have completed an associate degree at an accredited university can transfer many of their credits into this bachelor's in health science online program. Online learners at FIU are well supported and have access to student success coaching and leadership development opportunities. Clarkson College's interdisciplinary health science degree is a flexible, online program designed for a wide range of learners, including traditional students who aspire to healthcare administration, working students currently employed in healthcare positions, or students who hold an associate degree. Available part-time or full-time, this program delivers instruction related to patient-centered healthcare systems administration. Core curricular topics include organizational behavior, patient advocacy, and cultural influences on health. After completing the core courses, students choose from one of five study concentrations in gerontology, healthcare business, human services, public health, or women's health. After all online coursework is finished, students must complete a 135-hour field experience within their concentration. This online degree in health science concludes with a capstone project. All Clarkson College students are expected to meet service hour requirements prior to graduation; as such, the senior capstone is expected to include the implementation of a service project. The online health science degree program at Keiser University’s Fort Lauderdale campus emphasizes management principles. This four-year, 120-hour program introduces fundamental concepts in healthcare administration such as accounting in healthcare, medical coding, and human resource management. Upper-division coursework delves into organizational behavior, leadership and communications, and public health management. There is no field experience requirement for this degree. Graduates are prepared to work within various healthcare settings while applying ethical management principles and upholding industry standards. Keiser also offers this health science degree online in Spanish. Distance learners have access to extensive career preparation services, including professional development workshops, resume assistance, and mock interviewing and coaching sessions. Keiser is also a military-friendly school and has a dedicated admissions team that helps service members and their families. Drexel University's online bachelor’s degree program in health science is best-suited for working students who have completed some college courses. This health science degree-completion program is offered only part-time and can be completed entirely online. There are no field experience requirements for this degree. Drexel's core curriculum examines healthcare law, ethics, marketing, management, and the operational aspects of the healthcare industry. Students also receive a foundation in business fundamentals like accounting, organizational behavior, economics, and leadership training. Drexel is a transfer-friendly institution and accepts up to 90 credits from other accredited schools. Additionally, applicants who hold professional certification in medical billing and coding may be awarded class credit. Online courses at Drexel are taught asynchronously and delivered in 10-week sessions. Student services for distance learners include extensive career development resources, a staffed digital library, and robust academic support. Located in Norfolk, Virginia, Old Dominion University offers an online health science degree-completion program that is designed for students currently working in the healthcare industry. Distance learners without this work experience are still eligible for admission but must complete 12 hours of prerequisites before beginning the core curriculum. The program's upper-level coursework examines critical issues in contemporary healthcare while delivering leadership skills training. Online courses are taught synchronously and asynchronously and are augmented by an on-site internship in an approved health services administration capacity. ODU is a very military-friendly school, offering credits for military training and work experiences, multiple distance learning options, and a support staff dedicated to military service members. This online health science degree is suitable for Navy Hospital Corpsmen at level E4 or higher; equivalent experience in other branches of the armed services also meets eligibility requirements. Entry-level and mid-career professionals in the healthcare industry may be interested in pursuing the online bachelor's degree in health science offered by the University of Maryland’s College Park location. While experience in the industry is not strictly required, the 120-credit program is designed for students with a working knowledge of healthcare organizations. This bachelor's in health science online program emphasizes the management side of healthcare administration and teaches students the practical skills required to become leaders in this environment. Courses cover material such as strategic planning, facilities management, data analysis, and healthcare law. After general education and core curricular requirements are met, students complete 46 hours of elective or minor-related coursework. This unusually large number of elective credits allows distance learners to pursue a variety of special interest areas. All coursework can be completed entirely online, and there are no field experience requirements. UMUC's accepts up to 90 transfer credits from other accredited institutions. The university is also military-friendly, staffing several employees who are dedicated to support service members. Working allied health professionals who have already earned an associate degree can complete a bachelor's program in health science at transfer-friendly Northwestern State University of Louisiana. This online health science degree is ideal for students seeking career advancement in clinical and non-clinical healthcare settings. Upper-division courses focus on medical terminology, informatics, organizational behavior, and cultural and ethical implications in healthcare. These fundamentals are augmented by 18 hours of self-selected courses from the health science and technology core, allowing students to customize their studies to fit their career goals. All coursework can be completed entirely online, and there are no field experience requirements for this degree. Incoming students can receive credit for prior learning experiences. NSU may also grant up to 30 hours for clinical coursework completed in pursuit of an associate degree in allied health if that program led to professional credentials. The University of Louisiana at Lafayette's online bachelor's degree program in health science is a four-year program that prepares its graduates for entry-level or mid-level management roles within the healthcare industry. This degree can be earned entirely through distance education courses, and there are no field experience requirements. The program's curriculum delivers a comprehensive education related to the business aspects of healthcare organizations. General education courses are supplemented by lower-division courses that explore the natural sciences and introduce students to the healthcare system of the United States. Advanced coursework in this online health science degree program focuses on the operations of healthcare administration by exploring topics such as reimbursement methodologies, financial management, and fundraising strategies. Distance classes at UL Lafayette are taught asynchronously and follow a semester calendar. Full-time students in this program are offered free membership in the Louisiana Medical Group Management Association. South Texas College, located about 10 miles north of the border in McAllen, Texas, offers an online degree in health science. This two-year degree completion program is targeted at students who hold associate degrees in allied healthcare fields. This online health science degree program builds on a student’s existing knowledge about patient care, emphasizing the leadership and business skills required of entry-level and mid-level managers in the field. Graduates of this program learn about medical staff roles and responsibilities, medical informatics, reimbursement methodologies, healthcare systems management, and healthcare finance. All coursework can be completed online and is hosted by the Blackboard learning management system; however, students are expected to arrange an on-site practicum at an approved healthcare facility prior to graduation. South Texas College's support for distance learners includes advising, career counseling, and tutoring. Health professionals can further their education by pursuing National University's allied health science degree online. This two-year bachelor's degree-completion program prepares students for supervisory or management roles within the healthcare industry. Building on a student's previously-earned associate degree, this online bachelor's degree in health science delivers comprehensive instruction about the administrative side of patient-centric care. Core classes explore topics like healthy aging, health education, and healthcare trends. Students can opt to pursue a concentration in health informatics instead of taking elective coursework; this concentration focuses on the effective use and implementation of various informatics technologies. All students conclude the program with a capstone course, which features an original outcomes management project proposal and a field experience at an approved healthcare facility. Philadelphia University offers a health science degree online. The 120-hour program's curriculum is delivered in accelerated eight-week blocks. Motivated, full-time students can complete their baccalaureate degree in two to three years. Graduates are prepared to work in a variety of healthcare settings, including hospitals, clinics, and government agencies. PhilaU’s bachelor's in health science online program focuses on management skills. After general education requirements are met, the core curriculum examines leadership theory, management principles, financial decision-making, organizational behavior, and statistical analysis. Students explore the practical application of these concepts within the healthcare industry, graduating with an expertise in health services delivery systems and their administration. The program culminates in a capstone seminar, but there are no field experience requirements for this degree. PhilaU Online has a rolling admissions policy. Women who are currently working in a healthcare-related field but lack a bachelor's degree can earn an online degree in health science at Bay Path University. Designed for women who hold an associate degree or have attended some college, this health science program helps graduates advance in their careers. The core curriculum focuses on the business knowledge needed to work as a leader in the healthcare industry. Students are prepared for management roles and learn about human resource management, strategic planning, funding and reimbursement, and regulatory compliance. Classes are delivered in accelerated six-week sessions, and students can begin courses on six dates throughout the calendar year. This degree concludes with a capstone project in the form of a research, service learning, or community-based field experience. The university is also transfer-friendly, accepting up to 90 credits from other accredited schools and up to 15 credits of previous healthcare or science courses. Aspiring health science administrators may be interested in enrolling in Robert Morris University’s online bachelor’s degree program in health science. This four-year, 120-hour program is offered entirely online and prepares its graduates for entry-level leadership roles in a variety of settings within the healthcare industry. The core curriculum delivers comprehensive instruction about healthcare systems, and students gain practical business skills in management, finance, communications, and policy development. Courses cover topics that include managed care, health services marketing, and data analytics. The curriculum of this online health science degree culminates in an undergraduate thesis project based on an individual management experience and original research. Prior to graduation, all students must conduct a 120-hour internship at an approved healthcare facility. Online support services at RMU consist of advising, career counseling, wellness coaching, and 24/7 technical support. Working allied health professionals who are seeking career advancement can complete an online bachelor's degree in health science at the University of Colorado Colorado Springs. This program is suited for students who hold current registration, licensure, or certification in their area of allied health practice, as well as a minimum of 40 training hours from an accredited associate degree program. Students who meet these criteria can enroll in classes part-time or full-time. Full-time students at UCCS can complete the bachelor's in health science online program in two years. All coursework can be completed through distance learning, and there are no fieldwork experience requirements. This program delivers a broad understanding of healthcare delivery systems and emphasizes management and business skills to help graduates assume leadership roles within their area of practice. This section provides an overview of common features of online bachelor degree programs in health science. While details may differ by program, curriculum requirements and program length generally follow similar structures. Key issues to consider when choosing a program are discussed below. The following sample curriculum highlights courses commonly offered by online health science degree programs. While required coursework may vary depending on the program, these courses equip students with the core knowledge necessary for careers in the health services industry. Healthcare delivery systems: Topics featured in this course include healthcare costs and accessibility, governmental and private industry influence on healthcare, and ethical issues. The course examines the current political and social factors that impact healthcare systems. Knowledge acquired through this course lays a foundation for specialized roles in the healthcare industry and prepares students for careers as health service managers. Abnormal psychology: This course familiarizes students with symptoms, diagnostic criteria, and treatment of mental health disorders. Students examine the historical and modern clinical approaches to abnormal behavior and legal considerations. This course prepares students to work in mental health settings and community health agencies. Legal and ethical issues in health services: Students gain decision-making skills based on an ethical framework that emphasizes multicultural care. The course introduces students to legal and policy issues that impact the health services profession. Case studies help students examine controversial topics, such as end-of-life decisions and reproductive technology. This course provides knowledge pertinent to all health services professionals, including those in clinical, consulting, and managerial roles. HOW LONG DOES IT TAKE TO GET AN ONLINE BACHELOR'S IN HEALTH SERVICES? Full-time students earn their online health science degree in approximately four years. Part-time students complete their degree in 5-10 years. The average online bachelor's degree in health science consists of 120 credits. The curriculum may require fieldwork experience, which can extend the length of time taken to complete the degree. Online students complete their degree at an individual pace or through cohort learning. Self-paced learning emphasizes flexibility, and students can enroll in as few or as many classes as they want. Individually-paced degrees usually offer year-round start dates, and depending on the structure of the program, students may take single, consecutive courses per semester or several courses simultaneously per term. Students pursuing degrees that use a cohort learning model advance through their coursework with a group of peers. They start and finish the degree together. This community-based approach to learning emphasizes collaboration and the development of interpersonal skills. It's completed synchronously and requires more time to complete. 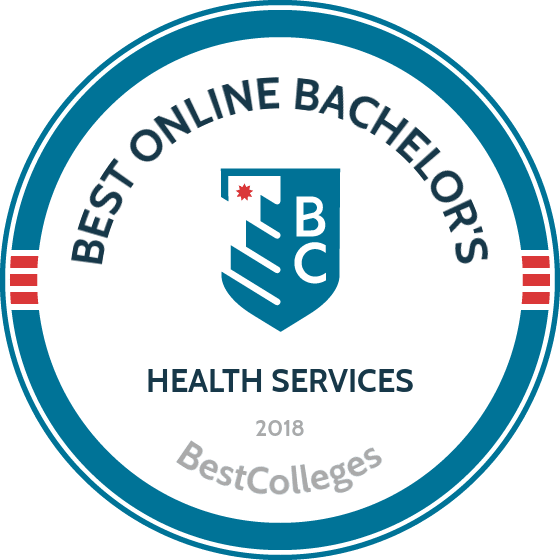 Online bachelor's degree programs in health science that are regionally or nationally accredited foster academic success, promote inclusive learning environments, and adhere to national standards. Regionally accredited universities comprise the majority of higher learning institutions across the U.S., and six regional accrediting associations set academic standards for universities based on their geographic location. Nationally accredited universities typically cost less to attend and often focus on vocational training or distance education. Credits earned from nationally accredited programs may not transfer to regionally accredited programs. When choosing a health science degree online, important features to look for include accreditation by the DEAC, an accrediting agency for online programs, and accreditation by the NCHEC or CAAHEP. These professional accrediting agencies for health education programs require self-studies and site visits to ensure that health sciences and related education programs adhere to national standards. The U.S. Department of Education (ED) and the Council for Higher Education Accreditation (CHEA) recognize regional, national, and program-specific accrediting agencies. Recognition ensures that accrediting agencies enforce academic standards identified by their respective associations. This accountability process promotes academic quality and improved standardization. The ED and CHEA demand peer reviews and self-studies of accrediting agencies. Students interested in pursuing a quality academic program have access to databases offered by the ED and CHEA that provide detailed lists of all U.S. accredited universities and programs. The health services industry values professionals with knowledge of the latest healthcare practices and policies. Advanced training in a higher education setting provides evidence of acquired skillsets and a grasp of contemporary approaches to healthcare delivery systems. Graduates of online bachelor's degree programs in health science have more career opportunities and increased earning potential. The following table features data from the BLS demonstrating the salary increases that occur after earning a bachelor's. Health services professionals who hold an undergraduate degree have opportunities for managerial roles, and their annual earnings improve by up to 75%. Several factors influence annual earnings for professionals in the field of health sciences, such as work experience, place of employment, and location. The following table provides an overview of the top paying states for social and human service assistants. An online bachelor's degree in health science offers numerous professional opportunities. Many graduates choose to work in clinical settings assisting psychologists and social workers; administrative roles are also available. Health science professionals often work in healthcare facilities, public health departments, and nonprofit organizations. Traits needed for careers in the field of health science include strong interpersonal and listening skills, the ability to creatively solve problems, and attention to detail. Health services workers advocate for diverse populations and demonstrate compassion. Health educators and community health workers' numerous responsibilities ensure that the public receives adequate healthcare services. Obtaining a health science degree online allows professionals to pursue supervisory positions. A postsecondary degree allows medical and health services workers to advance into leadership roles. Management positions require knowledge of healthcare delivery systems, laws and regulations, and finance. Job duties include recruiting staff, creating budgets, and improving the quality of healthcare services. Social and community service managers work closely with community stakeholders to identify needed services. They evaluate and improve existing programs, manage budgets, and coordinate outreach activities. An online health science degree equips professionals with knowledge of statistics, management skills, and community health policies. Occupational tasks include providing clients with support in transportation and service coordination and assisting social workers and other healthcare professionals. Social and human service assistants may work with special populations, such as children, the elderly, or immigrants. A postsecondary degree provides opportunities for advancement in areas such as case management. Substance abuse and behavioral disorder counselors work with people suffering from a wide range of mental health issues. Job responsibilities include assessment and treatment planning and implementing preventative outreach programs. A bachelor's in health science online allows substance abuse counselors to take on more independent roles, including conducting individual counseling sessions. Becoming a member of a professional organization allows students and recent graduates of health science degree online programs to enhance their knowledge in a variety of ways. Access to job forums, cutting-edge webinars, and annual conferences allow students to broaden their understanding of issues impacting the healthcare industry. Many professional organizations provide unique networking and learning opportunities for students, including participation in student assemblies and honor societies. APHA advocates for public health by providing healthcare professionals with access to professional development programs, policy statements, and publications. Its annual conference features a virtual attendance option. NCHSE offers a national health science assessment that prepares students for the transition from high school or unrelated careers to postsecondary health science programs. The organization's career cluster model provides overviews of more than 300 careers in health science and informs students of professional opportunities. The most common way to pay for a degree is through federal assistance, such as loans, grants, and work-study programs. To acquire federal financial aid, you must complete a FAFSA online. This free application process determines your eligibility for assistance. In addition to federal aid, scholarship opportunities are available for health science students, including the David C. Maloney Scholarship and numerous HOSA scholarships.